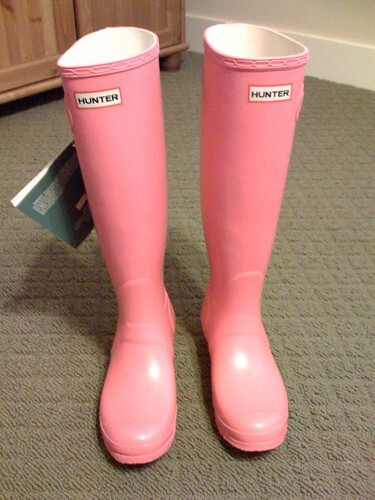 My new pink Wellingtons arrived today. Now I just need it to rain again! Very cute - I'm jealous!